Article: Legendary DJs Martin Garrix And Tiesto Release New Track “The Only Way Is Up”! Listen Here! What happens when two of the world’s greatest, most respected, top DJs collaborate on a track? You get a masterpiece – a masterpiece done by the legendary DJs themselves: Martin Garrix and Tiesto. Leonardo da Vinci created the masterpiece of the “Mona Lisa”, Vincent van Gogh created the masterpiece of “The Starry Night” – well, the internationally acclaimed Martin Garrix and Tiesto created the EDM masterpiece: “The Only Way Is Up”. The remarkable Martin Garrix and Tiesto recently released their track that EDM lovers all around the world have been waiting for titled “The Only Way Is Up” and as soon as the invigorating track released, it skyrocketed to the number one spot (and continues to stay there) on the Beatport charts. “The Only Way Is Up” will truly leave you in awe and after listening to this track once, twice and many more times after that you will truly have chills with how brilliant this track is. Martin Garrix tweeted, “LET’S GOOOO! My collab with @Tiesto #TheOnlyWayIsUp is out now on @Beatport!! #7x7Up http://btprt.dj/1EKVo4R “. Tiesto tweeted, “My new collaboration with @MartinGarrix is out today! 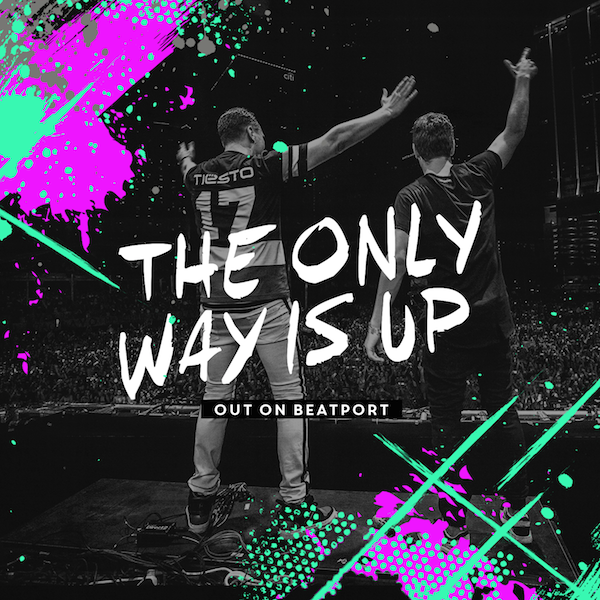 Grab #TheOnlyWayIsUp on @Beatport http://btprt.dj/1EKVo4R !”. Such a mesmerizing track that will truly be this summer’s anthem! Hop on a boat with Martin Garrix and Tiesto as you check out the official music video to “The Only Way Is Up” and be sure to buy the track on Beatport at this link: https://pro.beatport.com/release/the-only-way-is-up/1517310 . Don’t forget to share “The Only Way Is Up” to all your friends and family on all your social media networks! Previous Article: The “Every Witch Way” Cast Wishes Their Moms A Magical Mothers’ Day! See The Pics Here! Next Article: DJ Sensation Julian Jordan Releases A Sneak Peek To His Latest Track “Blinded By The Light”!